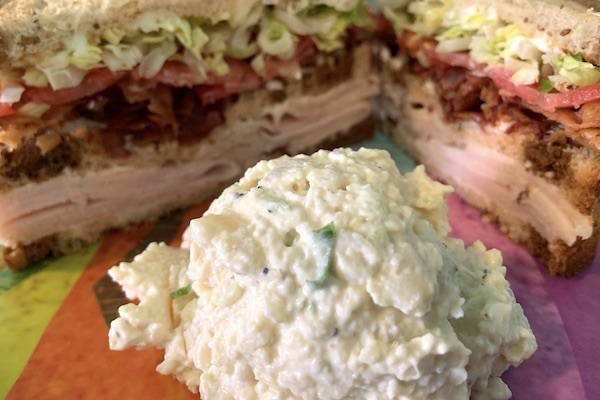 Sebastian Sandwich Shack and Grill has one of the best lunches in Sebastian, Florida. SEBASTIAN – The Sebastian Sandwich Shack & Grill is running smoothly with new owner Niki Singley at the helm. Singley, a previous long-time employee, knows how to keep her customers happy. 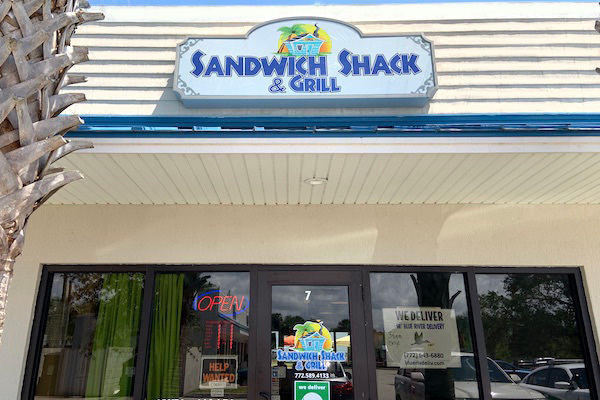 Singley took over as the owner of the Sandwich Shack in Sebastian on April 1, 2019. So, we decided to pop in and check out how things were going for the new business owner. As we walked in, we noticed the Key West colorful decor, and the waitresses were the same as before. As the saying goes, if it’s not broke don’t fix it. 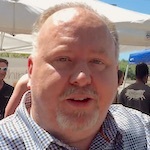 We sat inside; however, they do offer outdoor seating for customers who prefer to be outside. 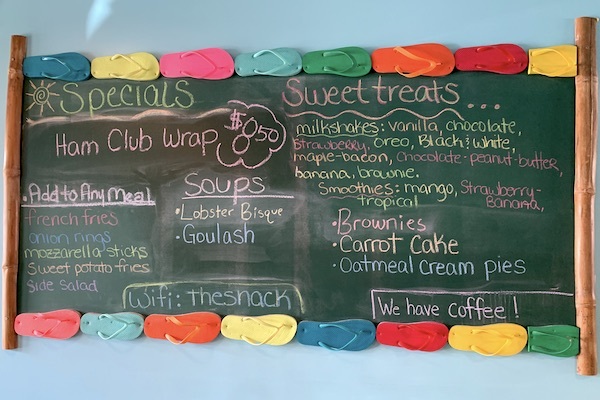 The Sandwich Shack offers free WiFi internet for those with mobile phones, tablets, or laptops. Our waitress was Vanessa. She was pleasant and helpful in explaining the menu and the special of the day. They offer Lobster bisque, and a soup of the day, that changes daily. The prices are very reasonable, and the food met our expectations. 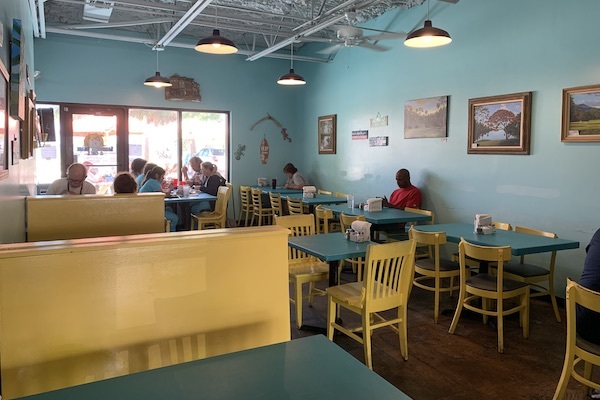 The service was fast, which makes the Sandwich Shack in Sebastian ideal for people who work or are on the go. We ordered two sandwiches, one was the Philly Cheesesteak for $8, and the other was the Turkey Club Sandwich which was also $8. 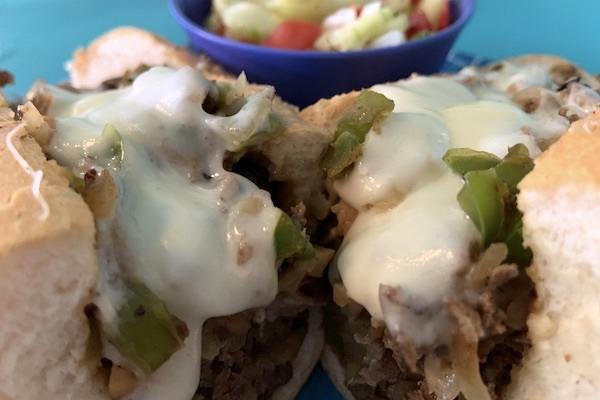 The Philly Cheesesteak comes with a choice of mushrooms, onions & peppers, and cheese. We got everything on it. You also have your choice of provolone, American, mozzarella, swiss, or cheddar cheese. We got the provolone cheese. Tomato Cucumber Salad as our healthier option side. You can get a 6-inch or a 9-inch sandwich. Another option is to order the Philly with chicken; we opted for the steak. 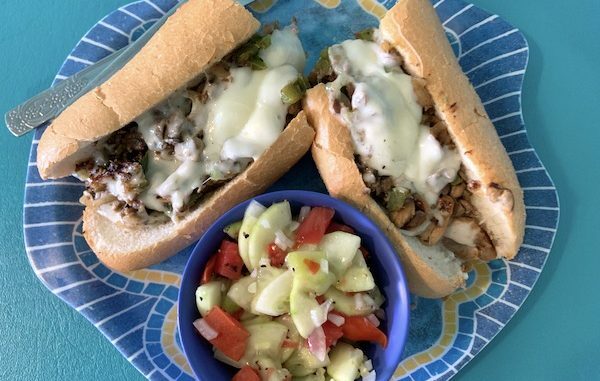 My first bite into the Philly with cheese was flavorful, with the grilled taste of onions and peppers. It was better than we anticipated. We recommend getting it slightly toasted. 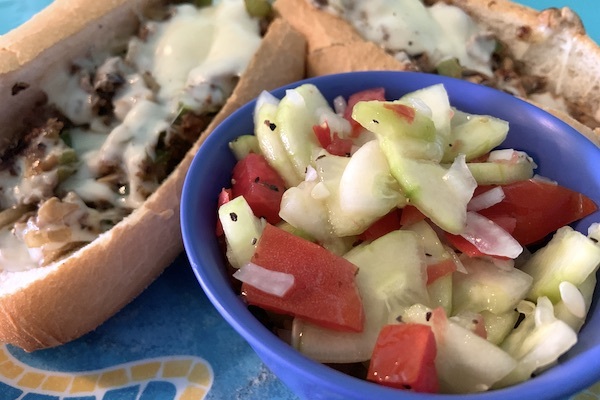 We also loved the freshness of the Tomato Cucumber Salad. 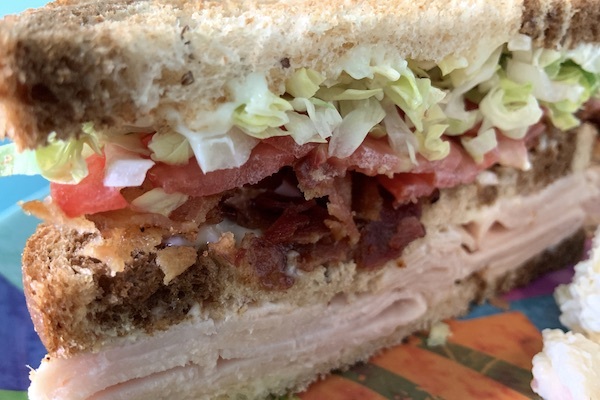 The Club Sandwich we ordered is known as “A Shack Favorite” on the menu. 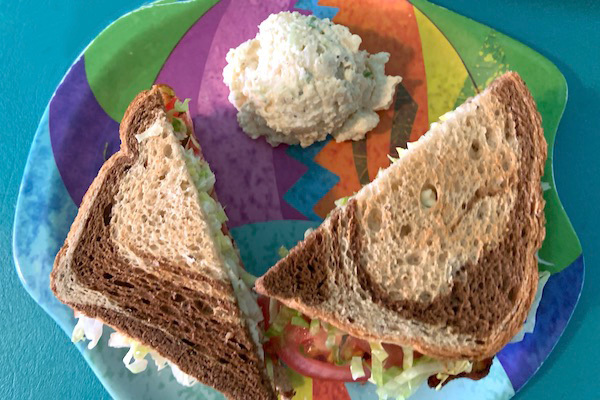 It’s a triple-decked club with a choice of turkey, chicken salad, egg salad, or roast beef. We chose turkey. It comes with bacon, lettuce, tomato, and mayonnaise. We ordered their potato salad as a side, and it was delicious. We were tempted to order more. Club Sandwich on marble rye with turkey, bacon, lettuce, tomato, and mayo. They have many options for bread choices. We chose the marble rye bread for the turkey club. It came with fresh lettuce, tomatoes, bacon, and mayo. This sandwich was also very filling and delicious. For dessert, it was hard to make a choice. They offer brownies, carrot cake, and oatmeal cream pies. 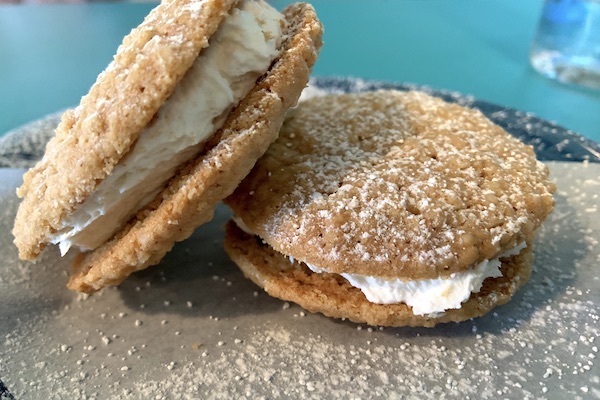 We went with the oatmeal cream pies, as it was great for sharing. They were very tasty. If you’re really into sweet treats, they have fresh milkshakes available. You can choose from vanilla, chocolate, strawberry, oreo, black & white, maple-bacon, chocolate-peanut butter, banana, or brownie. The Shack also offers smoothies with your choice of mango, tropical, strawberry-banana, among others. We will have to try them out on our next visit. Sebastian Sandwich Shack in Sebastian, Florida. We also noticed that some of their hoagies could also be turned into salads, such as the Southwest. It comes with grilled chicken, black beans, corn, cheese, avocado, and tomato. As for their service, there’s nothing we saw that needed improving. They were on top of it all. If our primary waitress was busy, the owner or another waitress would offer us refills or ask if we needed anything. They are taking orders and making sure their guests are happy. 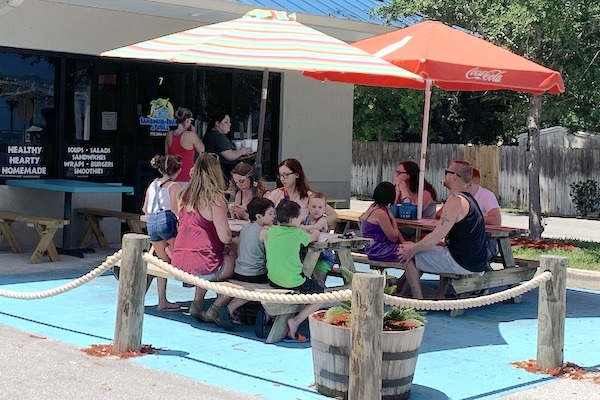 We highly recommend the Sandwich Shack in Sebastian because they offer good service, a great menu, and the food is excellent. We will certainly be back to have lunch there. The Sebastian Sandwich Shack is located at 482 U.S. Highway 1 in Sebastian. It’s located in the plaza behind the Italian Cousin. The restaurant is open from 11:00 a.m. to 6:00 p.m., and closed on Sundays.